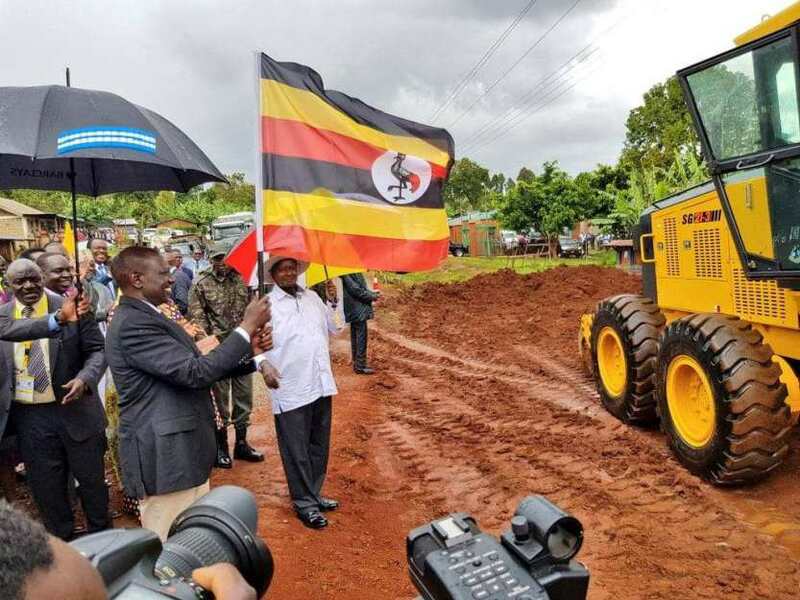 KAPCHORWA – President Museveni and Mr William Ruto, the Deputy President of the Republic of Kenya, on Sunday flagged off construction of the Kapchorwa-Suam road. The project is a multinational road that provides an important link between Uganda and Kenya by connecting at the border post of Suam. The Uganda side of the project road is Kapchorwa-Suam and the Kenya side of the project road are Suam-Kitale and Eldoret Bypass. The project road supports the regional integration objective of member countries of East African Community (EAC) and Great Lakes Region, especially Uganda and Kenya by connecting to Suam and further linking with Democratic Republic of Congo (DRC) and South Sudan. This is a transformative project that contributes to socio-economic development, poverty reduction and regional integration in eastern Uganda and western Kenya. 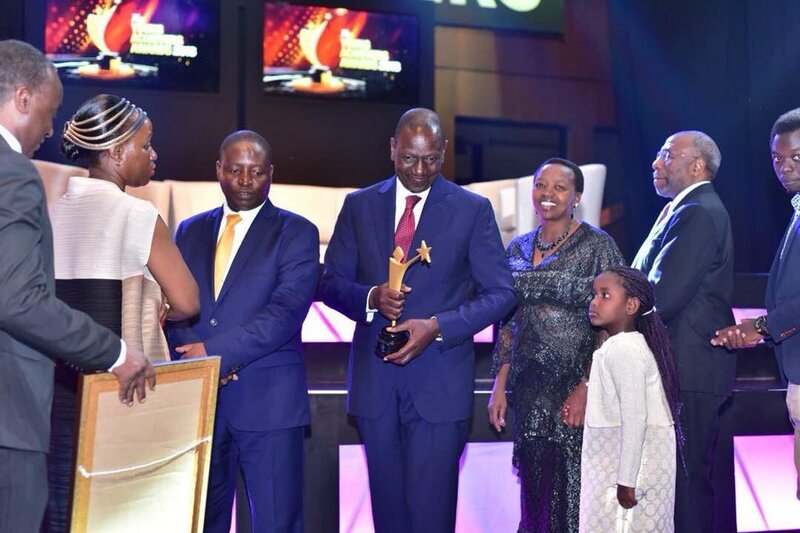 Mr Ruto was the chief guest at the Jonnie Walker Young Achievers awards in Kampala on Saturday. He was invited by Reach A Hand Uganda (RAHU) the awards organisers and awarded the lifetime prize in recognition to his development and education contribution in Kenya and Uganda. “I am deeply honoured to be your 2018 recipient of the lifetime award. The organisers made reference to my work I have done in my country Kenya. I accept this recognition from you because it is a privilege and as Africans, we must learn to celebrate and validate our own rather than wait for external applauses because that is a liberating mindset that I fully endorse,” he said.